Since the founding of Vose Galleries in 1841, the Vose family has amassed over 300 years of experience in the art world, and has handled more than 34,000 American paintings, including over 25 artists' estates. Vose Galleries specializes in top quality 18th, 19th and early 20th century American realist paintings and works on paper. Passed down through six generations from father to son- now daughters, Vose is the oldest family-owned art gallery in America, and has established a reputation for expertise in the history, acquisition and valuation of American art. The gallery has helped to build numerous public and private collections: Vose paintings hang in over 150 museums nationwide. We invite you to visit our Newbury Street brownstone, where you will find the largest inventory of American realist paintings in New England. All five floors are devoted to the display of fine art, including living and dining rooms furnished with antiques to provide a home-like setting for viewing works of art. In the fall of 2001, Vose Galleries opened a contemporary division, marking the gallery’s return to handling the work of living artists after a nearly 40-year hiatus. In opening the new division, Vose has made a commitment to promote top-tier realist artists who have undergone the rigorous training required to master centuries-old painting techniques and apply them in unique new ways. 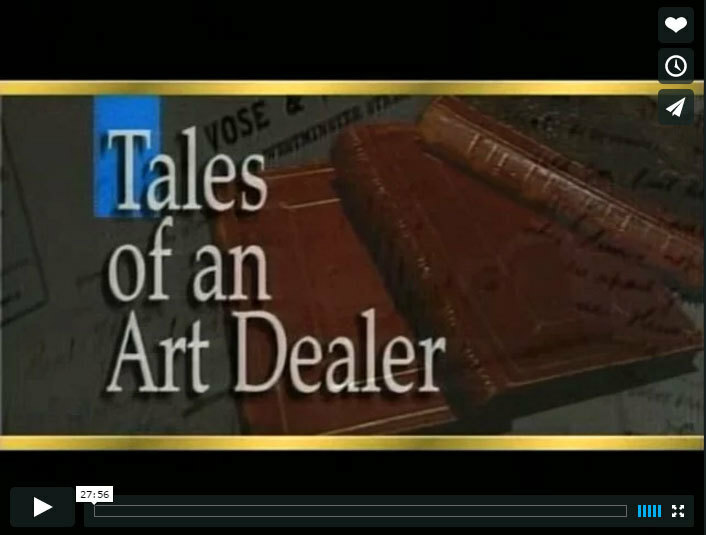 In honor of the gallery's long history, Tales of an Art Dealer, an engaging video was created to illustrate the intruiging stories that have been passed down from generation to generation. To read more about the production, and watch the videos, including the latest installements from the sixth generation, Carey Vose, click here. All inquiries are welcome! If you have American paintings or works on paper which you would like to sell or have appraised, please click here for more information. Please enjoy our newly expanded website, which includes an extensive selection of current inventory, exhibition information, Vose Galleries’ history, collectors’ tips, and Vose publications.